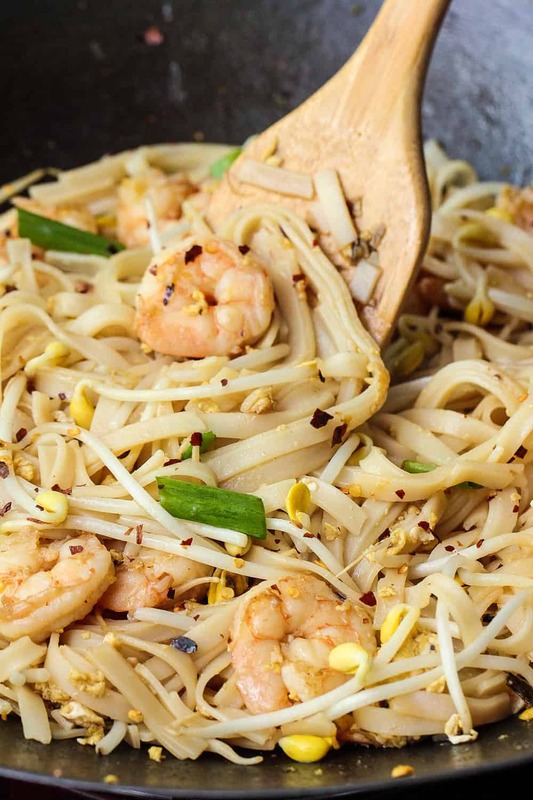 This Easy Shrimp Pad Thai recipe is just that…easy! But that at all means it comes up short and taste! It is so satisfying delicious. From the tamarind sauce, to the scrambled eggs, to the classic Thai garnishes. This is noodle perfection. Now days, many major supermarkets carry tamarind paste in the Asian section. If you can’t find it there, seek out your local Asian food market. Or, you can easily order quality tamarind paste online by clicking right here. In most cases, you can have it delivered in 1 day! 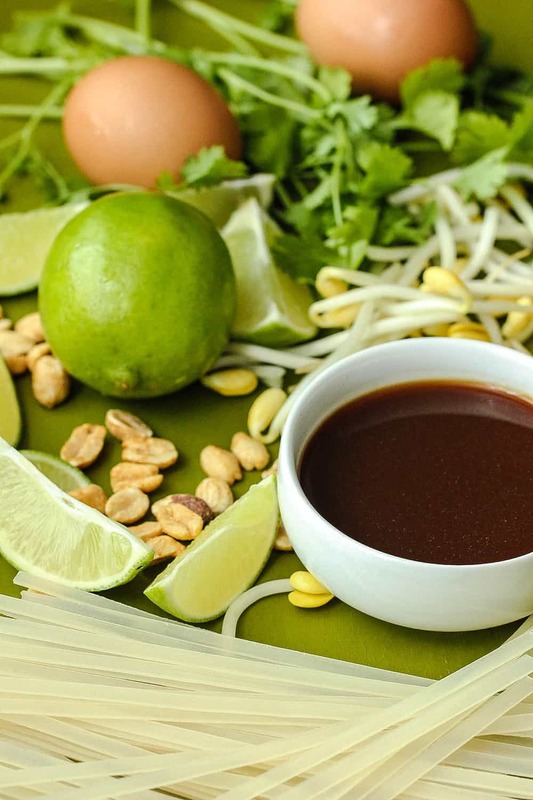 If you’re looking for a very authentic Chicken Pad Thai recipe, click here. 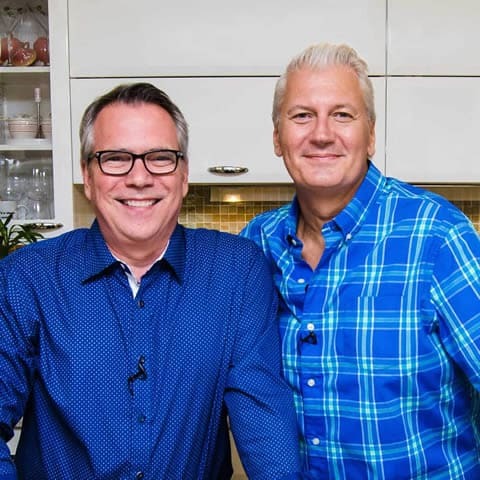 It’s one of our most popular posts on the blog! 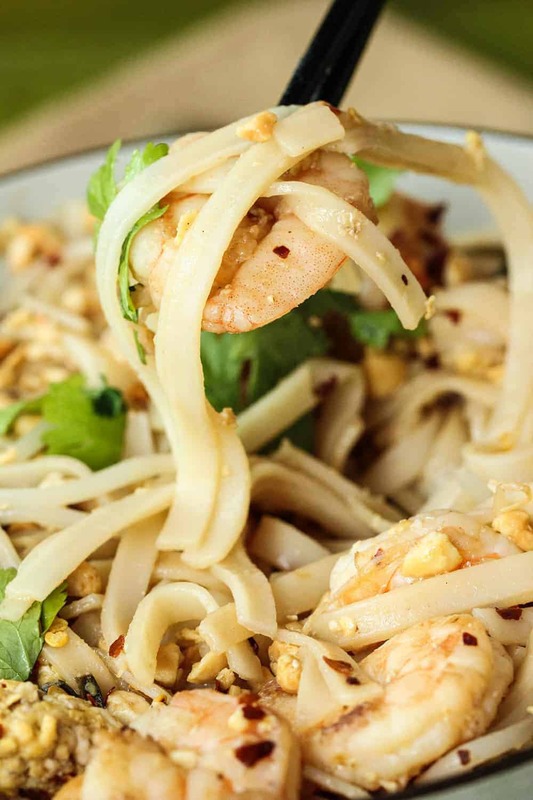 But if what you’re craving is an Easy Shrimp Pad Thai recipe, well, this is the one for you. 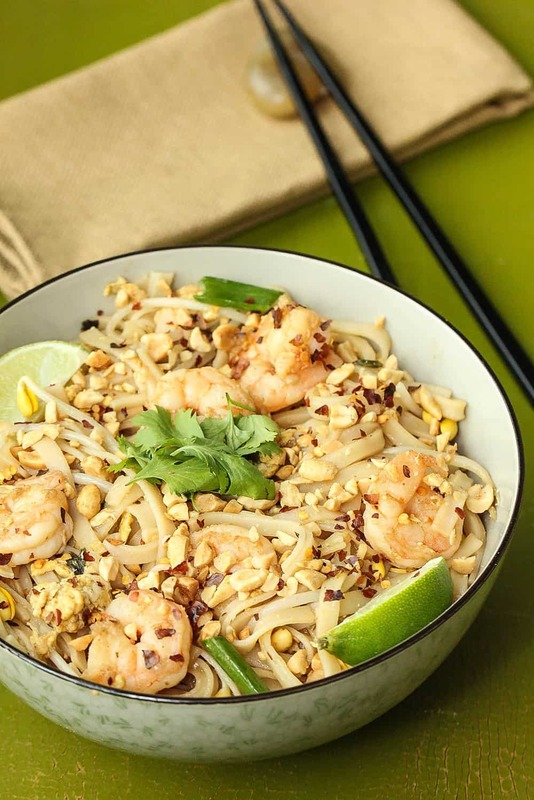 The Loon can’t get enough of this amazing Shrimp Pad Thai recipe, and neither can I! Okay! 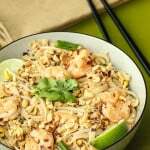 Now go make this amazing Shrimp Pad Thai recipe! You’ll be so glad you did!! This Easy Shrimp Pad Thai really is quite easy, yet still has that awesome Pad Thai taste and texture that we love so much! If you can't track down tamarind paste, you can easily order it online right here and get it very fast. This is one of our favorite go-to noodle dishes, and it's so easy and super yummy! Bring a large pot of water to a boil and then remove from heat. Lower in rice noodles and soak them for 15 minutes, or until soft enough to eat. Mix together the taramind paste, fish sauce, vinegar, soy sauce, and brown sugar, stirring to dissolve the sugar. Set aside. Heat your wok over medium-high heat and add 2 tablespoons oil. Add the garlic and chilies and stir-fry 1 minute. Add the shrimp and stir-fry 2 minutes more, or until shrimp are pink and plump. 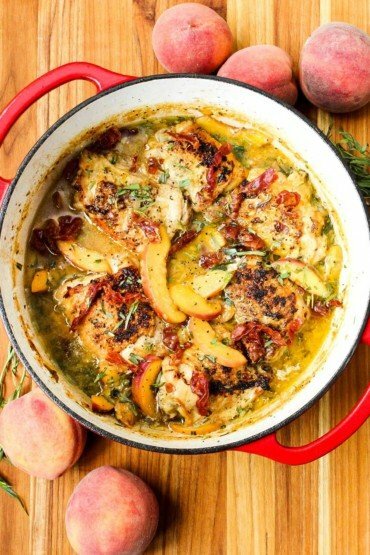 If the wok becomes dry, add a little chicken stock, 1 tablespoon at a time to keep everything frying evenly. Push the ingredients to one side, and add 1 more tablespoon of the oil to the center of the wok. Crack the eggs into the open space of the wok and quickly stir-fry until scrambled. Mix in the drained noodles and the tamarind sauce. Use tongs to stir-fry the noodles for 3 minutes. If the noodles are sticking to the wok, add a little more oil. Add the bean sprouts, stir-fry for about a minute. Remove wok from heat and taste the noodles, adding more fish sauce until desired flavor is reached, usually another tablespoon or so. Top with ground peanuts, and garnish with pepper flakes, cilantro and lime wedges.